Ajoaika ja taukojen kesto näyttää olevan aika samat, kuin viime vuonna. Mutta, kun nopeus on kovempi, niin matkaakin kertyy enemmän. Last Saturday was the annual ”Day on the bike” -cycling event organized by Kälviän Tarmo. This is a recreational event and the idea is to ride once every hour the 18 km route in teams or as individual cyclists. I tried again to ride as many kilometers nonstop as I can. 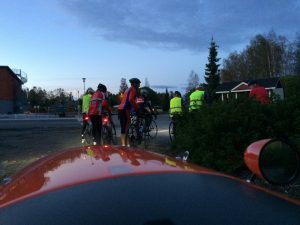 This time I was the only recumbent rider, but there were dozens of other cyclists. The route was on a small road and the turning place was nine kilometers away from start. Most turned around there, but some of the cyclists fetched kilometers further away. 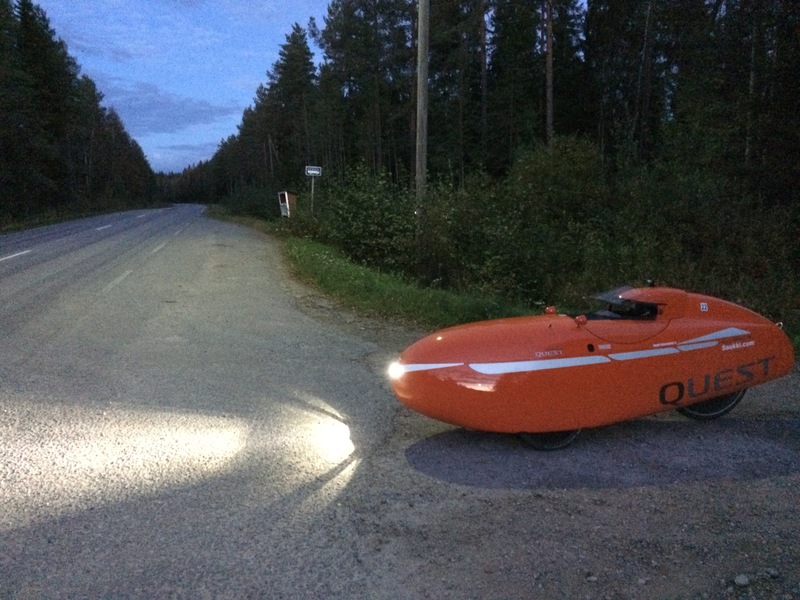 The turning spot was a gravel road junction which wasn’t ideal for velomobiles, so I rode all the way up to Ullava to turn. It was easy to turn velomobile around in the courtyard of the grocery store in Ullava without the need to reverse. But the total distance of this route was 60 km. I went to turn in Ullava total of four times. The last onet was the most painful of all. I do not know if I had eaten too much or too little, but I felt that I was completely out of energy. I was then forced to take a longer break and try to rest a little bit. After over an hour’s break I continued. I rode a couple of times in the short route. At dusk we rode the last ride. During the whole day I had cycled over 300 kilometers. Maybe I could have cycled even more if I had been more successful ”refueling”. 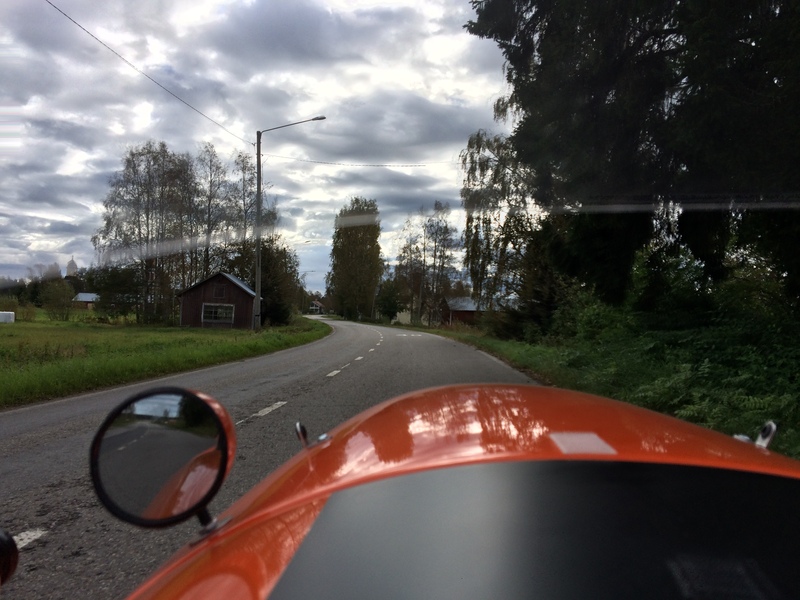 After sweating for 12 hours inside the velomobile, there was quite a lot of abrasion in different places. Moving time and length of breaks seems to be quite the same as last year. But when the speed is higher, the distance will be longer.